The site for learning more about the Affordable Care Act and purchasing insurance through exchanges, etc. Official state government Web site. 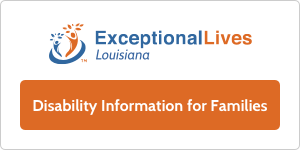 The Louisiana Vital Records Registry holds Louisiana birthcertificates less than 101 years old and Louisiana Death Certificates less than 51 years old. Includes application forms and local satellite offices. For Louisiana births over 100 years ago or deaths over 50 years ago, submit order to the Office of the Secretary of State. Most commonly requested tax forms available in electronic format, includes the current year forms as well as for the previous five years. Database searchable by name for property that has been “lost” or unclaimed in Louisiana and other states. Use to answer Food Stamp questions, including eligibility.